Welcome to the BACR After School Programs Blog! For over three decades, Bay Area Community Resources After School Programs have had the privilege of serving the diverse communities of the Bay Area. They have done so by promoting the healthy development of individuals, families and communities through direct services, volunteerism, and partnering with the San Francisco Bay Area. The BACR family is a tight knit group, made up of passionate and creative individuals who have devoted themselves to the betterment of the lives of the children we serve. This blog was created to appreciate and showcase the achievements of our outstanding staff and their programs. Please join us on our journey of documenting the lives of the everyday heroes that serve in our programs. 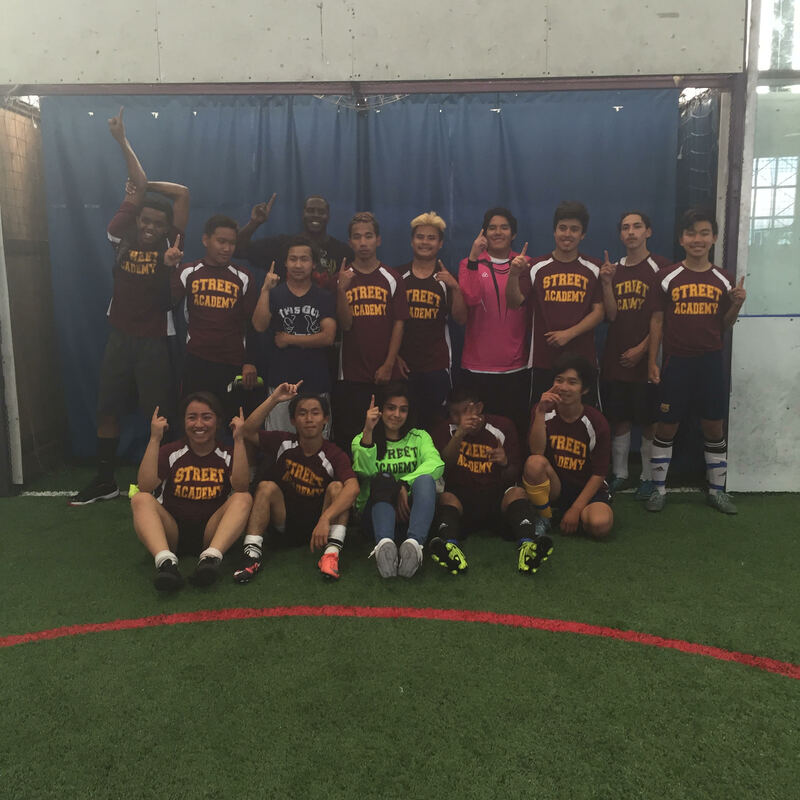 The Street Academy Soccer Team is the youngest in the league. The team is full of passionate players who just love the game. This year the students started practicing since the beginning of the school year to build a championship team. They worked extremely hard to come up with a plan and because of that they became a family. With Coach Liddon's leadership they used backwards mapping to develop themselves as a team and as individuals. They are very proud they won the Championship because they all worked together to become the team they are. The team record this last season was 4-2-1 and the big win against Bunche for the Championship. On March 26th, 2016, Ralph J Bunche's Action Team collaborated with the youth at the West Oakland Youth Center to contribute to the community's well being by incorporating fun with information on how to avoid violence and increase the peace. The event was all youth lead! With outstanding and informal performances from various local artist. Many local organizations came out to support and be apart of the event. The afternoon consisted of an opening with a traditional African cultured celebration of ancestors, followed by speeches from local artist. There were toys for the children in attendance and other great prizes that were raffled off during the event. All guests(approx 100+) took a peace pledge and received a gift bag with stress management tools, resource contacts and fun stuff. There was a bingo game that allowed the people in attendance to get to know each other with similarities.There were poets that incorporated the results of violence into their poems. The afternoon was great, fun, and very informational. The West Oakland community had fun and took something from it! Copyright © 2019 BACR After School Programs.